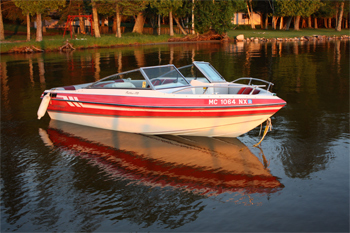 Welcome to our Curtis Michigan boat rentals page. 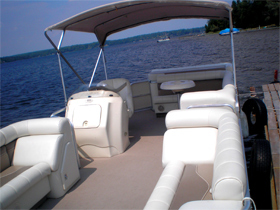 South Manistique Lake is part of the largest lake complex in the Upper Peninsula of Michigan. 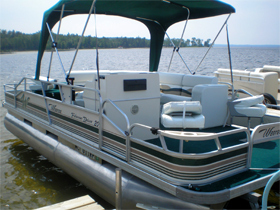 The Manistique Lakes are beautiful and rich with activities. Fishing is popular year-round and many enjoy the sport of ice-fishing during the winter season. The average depth is 10' with the deepest point being 29'. Visitors to Curtis can enjoy all of our area lakes and streams with a total of over 20,000 acres of lake water to enjoy! We are dedicated to helping you experience the best in Upper Michigan fishing, right here from the front door of our newly renovated resort. 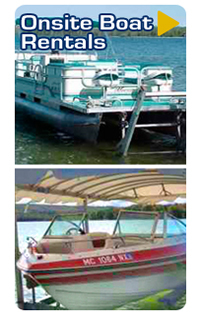 We invite you to visit our Boat Rentals Photo Gallery for more photos of our Fishing Boats, Pleasure Boats and Pontoon Boats! > Click here to view.